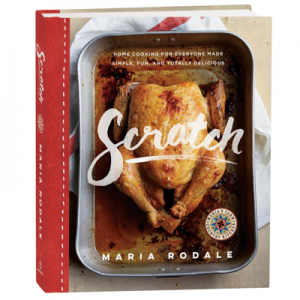 Hi, I’m Maria Rodale and welcome to my kitchen! Maria’s Farm Country Kitchen is a place for me to share yummy organic recipes, thought-provoking ideas and issues, organic gardening tips and techniques, recommendations for happy and healthy everyday living, and visits from my friends. By day I’m chairman and CEO of one of the largest independent publishers left in America. By night I’m simply M.O.M. (which stands for Mean Old Mom) to three girls born in three different decades (the 80s, the 90s, and the last one—I mean it—2006!). By the way, they like me a lot despite being raised with tough love. I myself have reached the big 5-0 mile marker and am enjoying all the perks and insights that come with age. Between it all, I’m a writer, cook, organic enthusiast, romance novel lover, and major music fan who does yoga. 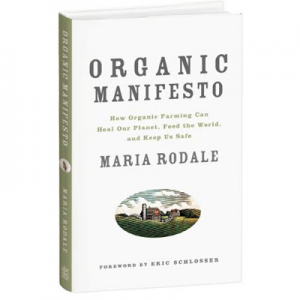 I don’t live on a farm, but I grew up on one—the first organic farm in America. I know farmers, love farmers, and find it enriching to buy directly from those who work directly with nature. I proudly live in the country, right where my food comes from and right in the midst of nature, which inspires me daily. Due to my day job, I spend lots of time in New York City, so I get my fix of culture and urban energy. But more than anything, I love to come home. And I love my kitchen and spend plenty of time there talking, eating, and enjoying the company of family and friends. Most of all, I love cooking simple good meals to help my family grow, paying homage to past traditions by recreating memories of food and remembering family members through their favorite dishes. All for moments like when my youngest exclaimed “Mommy, you make such yummy food!” She was eating corn fritters made with whole wheat flour! 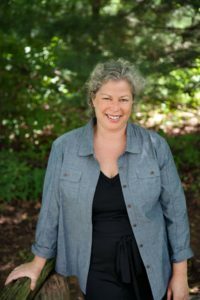 Maria’s Farm Country Kitchen blends my strong devotion to family and simple good food, fresh from the farm and garden, instilling a sense of responsibility about making the world a better place, respecting nature, and doing it all with a good strong dose of love.